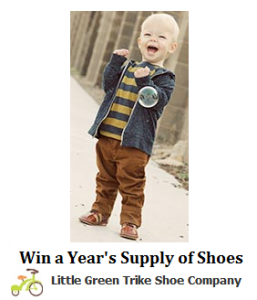 Little Green Trike is holding a sweepstakes where the winners get a years supply of shoes (12 pairs!) for FREE. Upload and share a photo of your kids to enter. On 1/6 winners will be chosen by how many votes they received via Facebook. Good Luck! Text 22854 for an online code needed to enter! See more sweepstakes & giveaways.